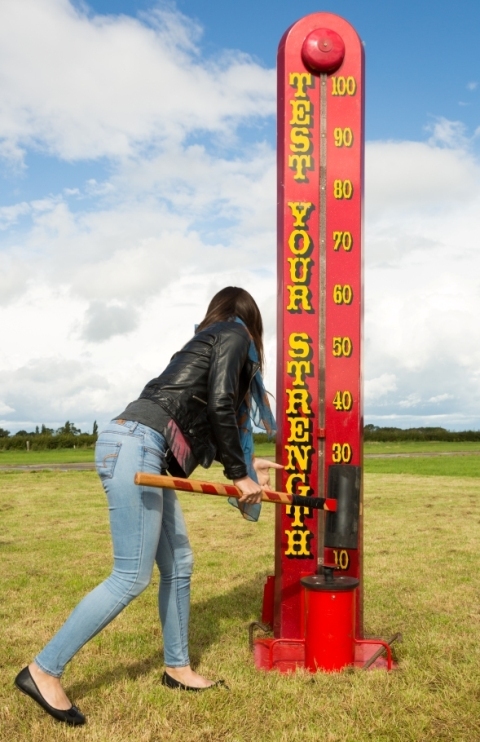 Test your strength with our High Striker! With the mallet provided, players hit the base as hard as they can to send the metal pin up the tower. The aim is to hit the large bell at the top of the tower! On the right hand side of the tower is the strength level indicator, which starts at 10 and goes up to 100. The operator is able to adjust the strength setting in the base unit, which allows children as well as adults to enjoy the popular and traditional game.